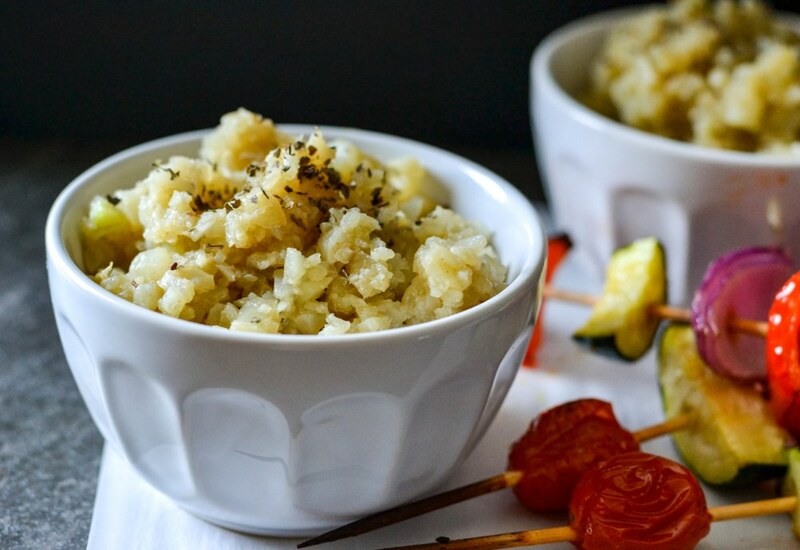 Riced cauliflower is an excellent gluten-free alternative to couscous and other grains—and incredibly easy to make in your food processor. Simply blitz cauliflower florets until chopped into rice-size granules, then quickly cook in vegetable or chicken broth until tender. Seasoned with olive oil, cumin, and ground black pepper, this low-carb dish is a basic starting point for versatile cauliflower ‘couscous’. It's especially good with roasted vegetable and/or chicken kabobs. Serve with hummus or yogurt sauce for a delicious vegetarian or vegan dinner. Try mixing it up with additional ingredients to alter the flavor to fit whatever the main dish might be. A pinch of saffron or paprika, a cup of canned chickpeas, dried apricots or cranberries, and nuts or chopped fresh herbs all make great options. Per Serving: 46 calories; 2g fat; 6.1g carbohydrates; 2g protein; 0mg cholesterol; 118mg sodium. Love the suggestion to make with saffron and chickpeas, yum! Can't wait to try this! My daughter is gluten free so this is perfect. Nice spin on cauliflower rice. This dish was really easy and the only spice you need is cumin. I added a very small amount of turmeric, but other than that this recipe is great. I would absolutely kill for some of this couscous right now!